This year’s USA Songwriting Competition is now open for entries and is offering a top prize of $50,000 (£35,000) in cash, plus music gear and US radio airplay. Songwriters from around the world are urged to enter before the closing date of 27 May 2016. The cost is US$35.00 per entry. Original songs – which can be written in any language – may be entered in 15 diverse genre categories including: Pop, Rock/Alternative, Country, R&B, Gospel/Inspirational, Folk, Latin, Instrumental, Jazz, Hip-Hop/Rap, Children, World, Dance/Electronica, Novelty/Comedy, and Lyrics Only. Winners will be selected by a committee of music industry judges, including music publishers and record label A&R execs from Universal Music, Warner Music and Sony. 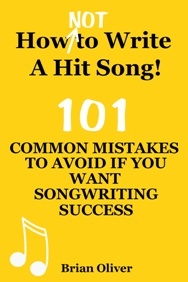 Songwriters will retain all rights to all of their songs. The USA Songwriting Competition is an international songwriting event which has been honouring songwriters, composers, bands and recording artists from all over the world since 1995. Past winners have come from Australia, Japan, Canada, UK, Germany, Brazil and South Africa, as well as from the USA.